We have a pretty good selection of cajons here at zZounds — cajons of different sizes, shapes, and purposes. 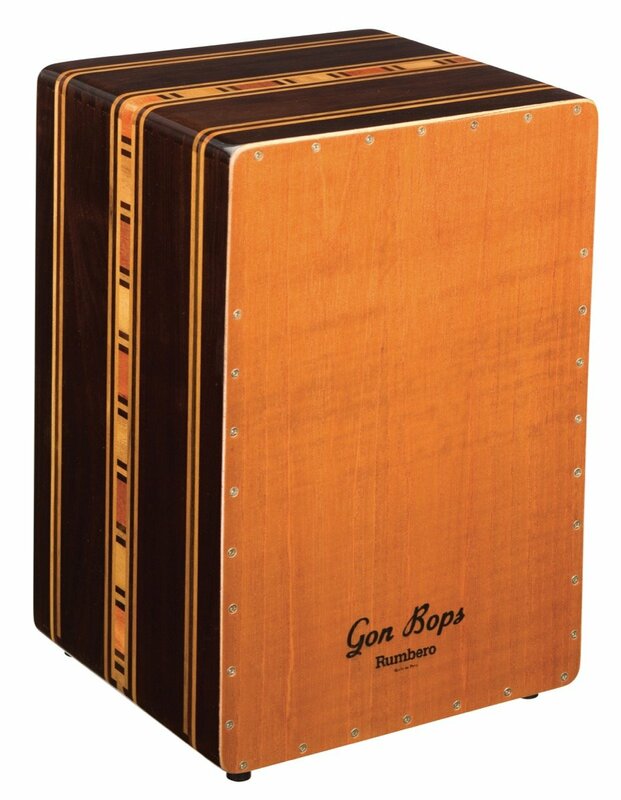 The GonBops Rumbero cajon caught my eye because it had a very unique look. It’s made of nogal wood, but take a peek at the top and sides — there’s a gorgeous inlay detail made of mohena and requia wood. The design is hand-crafted by skilled artisans in Peru, making this cajon a true work of art. This cajon is more than just a beautiful piece of percussion equipment. It’s a flamenco-style cajon, meaning that it’s got guitar strings on the inside to give it a snappier sound. The Rumbero’s front panel, made of cedar, adds visual and aural pop. 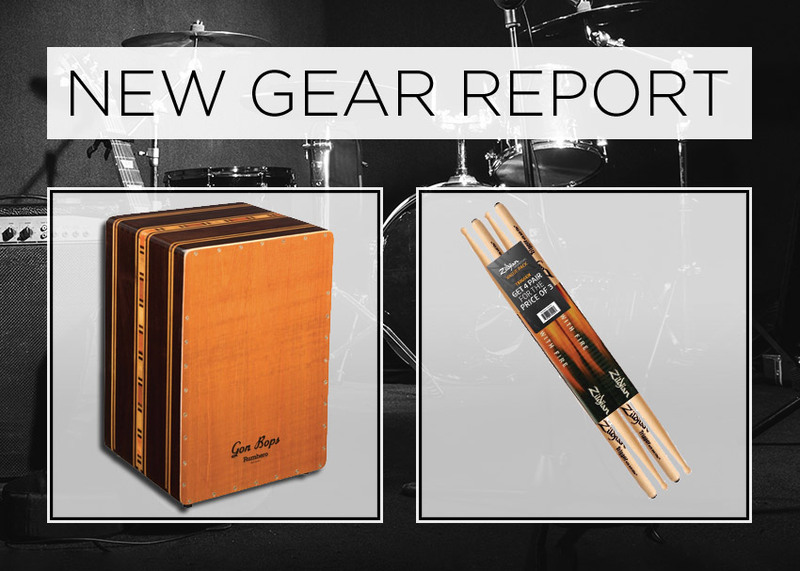 If you’re looking for a higher-end cajon, give this beauty a try! Got an electronic drum set? You’ve got to snag these Trigger Sticks. They’re made for use with electronic drum sets, but are also good to use with practice pads. These look like regular drum sticks, but are actually made to dampen vibration with a rubber dowel on the inside that absorbs shock. The shock-absorbing center also makes drumming easier on your hands, so that’s another bonus. Hopefully, that means fewer breaks to shake your hands out. I know your hands will thank you!